and ​Create STUNNING ​Videos that ​Really STAND OUT! 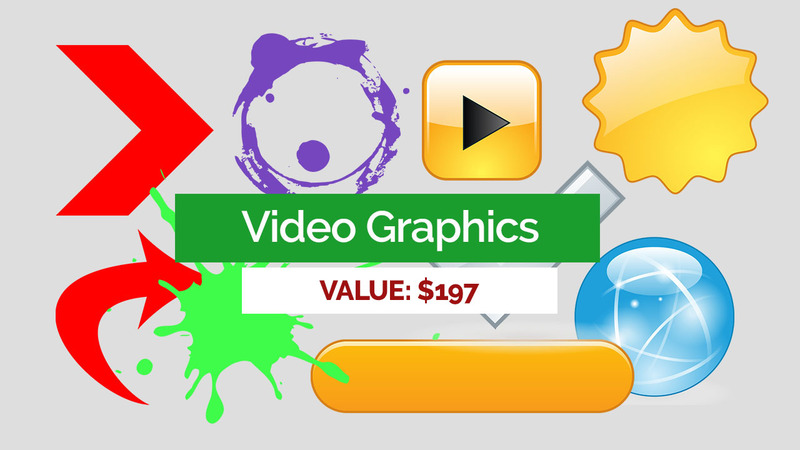 ​These are professional animated icons in different categories and niches. They are also available in different formats (MOV, AVI, and GIF) so that you can use them whether you're on the mac or on PC. ​A collection of simple yet professional video backgrounds you can use for your videos. 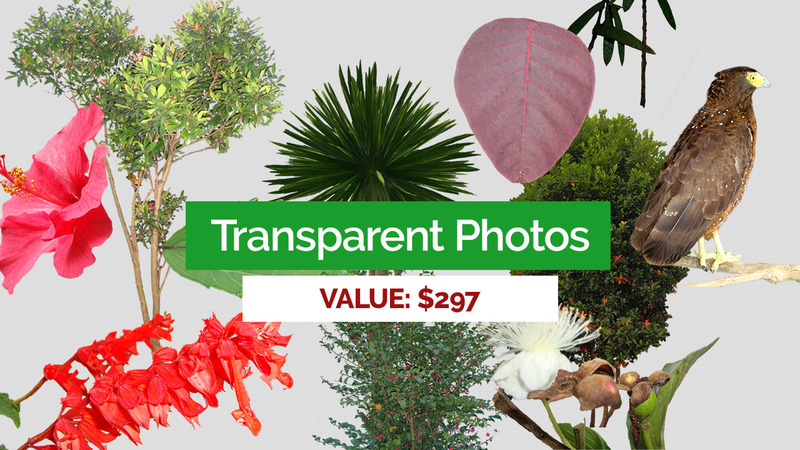 ​This is a collection of various images on a transparent background. This collection is very personal and memorable because I've been capturing and cleaning this images way back in 2009. That means these collection is unique and you cannot find them anywhere (unlike PLR collections out there). ​A great collection of various graphics such as arrows, buttons, grimes, etc., that you can use in your videos and any designs. ​So as you can see, you can get a value of $1088! ​But again, I want you to get this HUGE collection at a VERY affordable price. ​So how much it will be?